Antagonist "short" cycle takes approximately 4 weeks to complete. Long down regulation "long" cycle takes 5 to 8 weeks to complete. 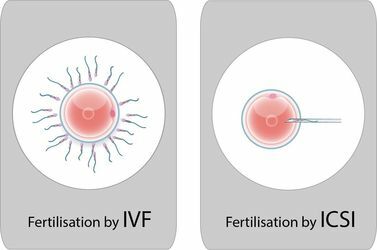 Invitro-fertilisation (IVF) - eggs and sperm are mixed in nutrient media and fertilisation occurs naturally. 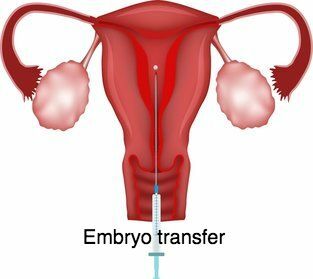 Intracytoplasmic sperm injection (ICSI) - a single sperm is injected into an egg to assist with fertilisation. 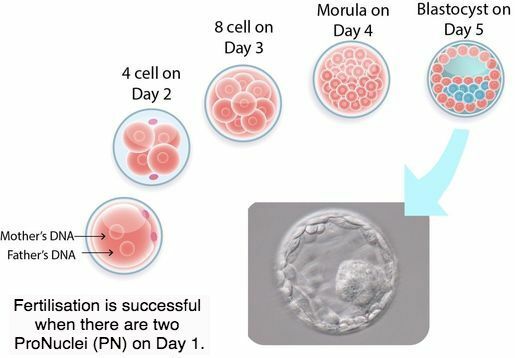 Fertilisation is assessed the following day to determine if there are two pronuclei (ie the DNA of the female’s egg and male’s sperm). 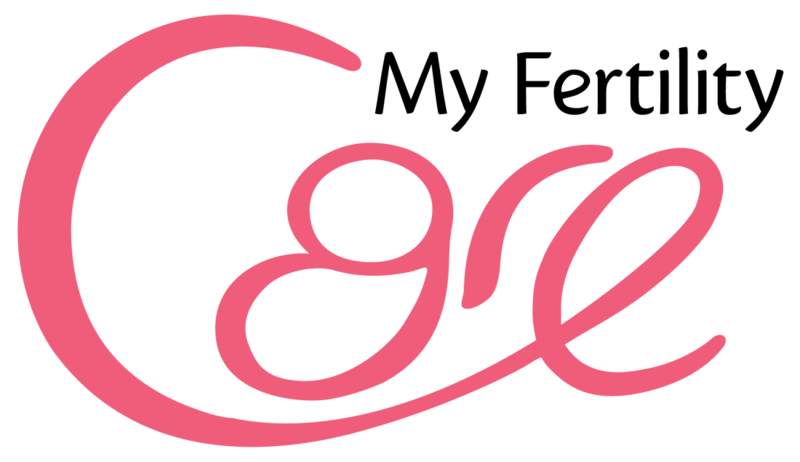 A pregnancy test is arranged ​11 to 14 days after embryo transfer.